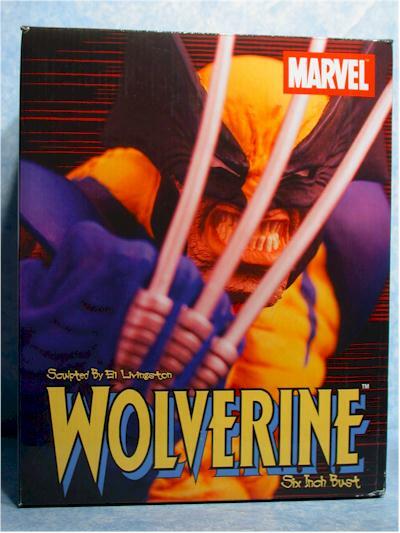 Tonight's review covers two seemingly unrelated characters - Hobgoblin and Wolverine. But they do have some things in common! They are both Marvel characters, they are both mini-busts, and they are both done by Diamond Select. And those are pretty much the reasons behind doing both in the same review. 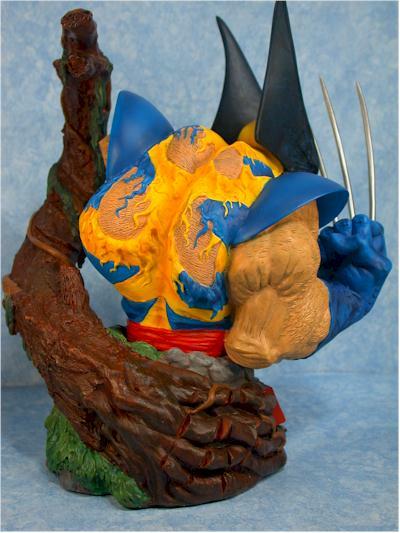 It's not just Wolverine though - this is the Sam Keith Wolverine. If you're familiar with The Maxx, you're familiar with Sam. What would you get if the Maxx had some sort of unholy love child with Weapon X? This is it. It's sculpted by Eli Livingston, another one of those Art Asylum guys. 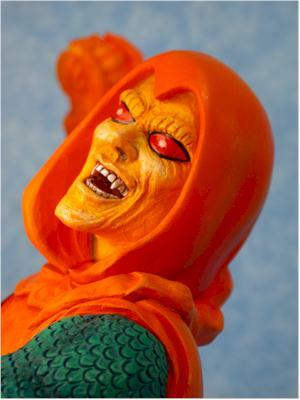 The Hobgoblin is a tad more traditional, and both are available from most comic shops for around $40 each. The run size on Wolverine is 10,000, whil it's only 5000 for Hobgoblin. The boxes do the trick, with good photos of the bust and a sturdy design. The best thing about Diamond Select packaging though is the excellent Certificate of Authenticity that comes with each bust. I'm basing this score on technical expertise and style - I'll pick on the design factors in a later category. Both have lots of detail, but Hobgoblin simply doesn't stand out well with the many other busts in his size and style. The roughness to the sculpting style doesn't work as well here, and I couldn't help but feel that the overall effect of the piece was rather boring. Wolverine is anything but boring. Here we have a ton of detail, and it works perfectly with the style. Now, if you hate Sam Keith's artwork, you're going to hate this bust - but that's not the fault of the sculptor, who has done an excellent job of capturing the Keith style in a well known character. 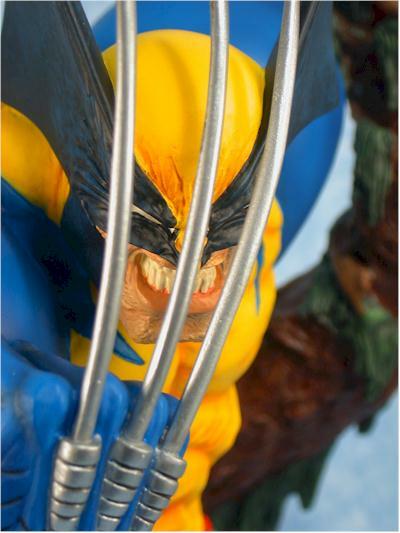 The paint ops on Wolverine are excellent, with a nice use of shadowing and color to give a greater impression of realism. The application is also very clean and neat, with no bleed or slop, even between tough colors like the yellow and blue, or yellow and black. 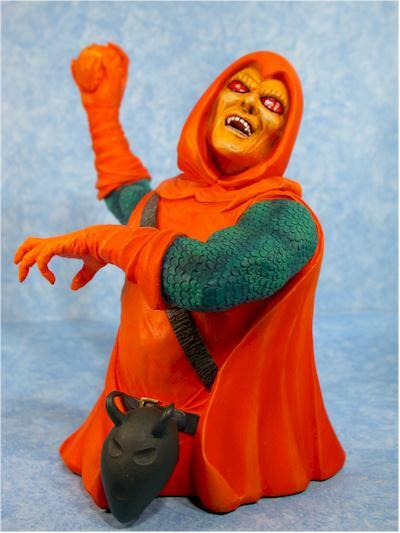 Hobgoblin has a matte finish to his orange cloak and gruesome face, and it looks chalky, lacking visual punch. I much prefer the higher gloss appearance, or at least a semi-gloss. 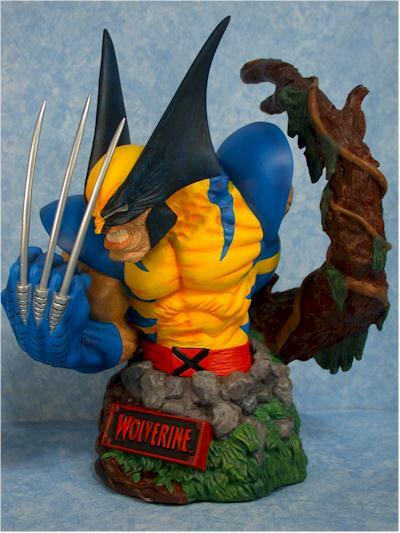 Combine the technical talent of the sculpt with the overall design and pose, and you'll find that Wolverine is a real stand out. IF, I say IF, you like Keith's style. 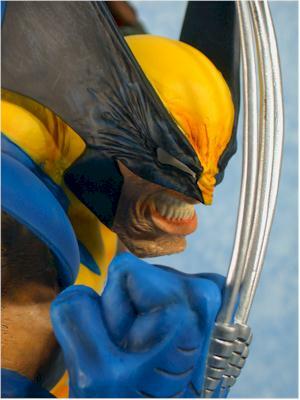 I love the pose that was selected, with Wolverine glaring at you through the extended blades of his right hand. The over emphasized muscles, over exaggerated ears on the cowl, and extreme scowl might be more than you appreciate, but for the big fan, it's perfect. I am a little confused by the tree branch, but I'm sure there's a good reason it's there. Right? 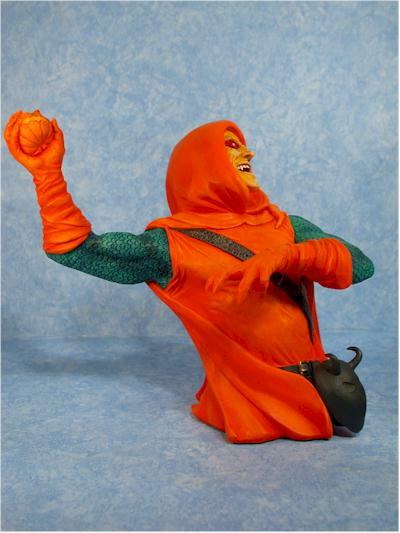 Hobgoblin has a relatively decent pose, but the tilt of the head makes me think he's putting very little oomph into that throw. The overall pose just doesn't jive for me, and instead of strength and action I see weakness and frailty. And I'm willing to say that most of that is a result of just the backward tilt of the head. I also think I've been spoiled by the exceptional Green Goblin that was recently released by Diamond Select. At forty bucks each, these are on par with other current licensed mini-busts. You won't feel like you're getting a steal, but you won't feel ripped either. I'm hitting up Hobgoblin a little more here though, since at this price I expect a bust that wows me, and jumps off the shelf. Not literally of course - I've busted enough busts on my own. The Green Goblin bust really did spoil me for this one. 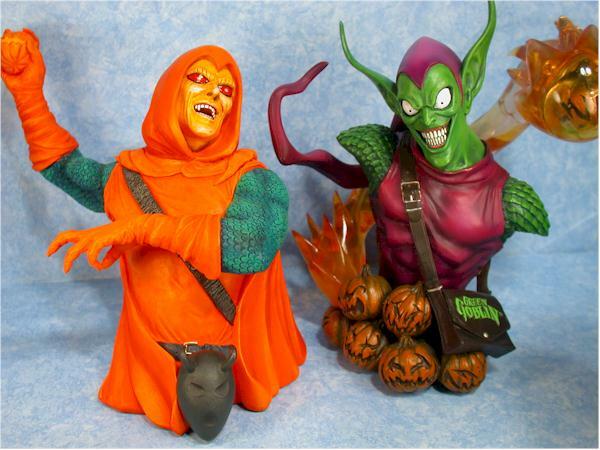 There's no way I can look at Hobgoblin and not compare, and he simply doesn't stack up. He's not a terrible bust, and if you're a big fan I'd say shop around to see if you can get a good deal. Wolverine is a different story. If you're into Sam Keith's art, then pick this up. If you're not, stay very far away, because you certainly won't like it. - Alter Ego Comics has both of these in stock for $36 each, and they've also listed the Black Cat statue I reviewed at Poop Shoot this week for $120.